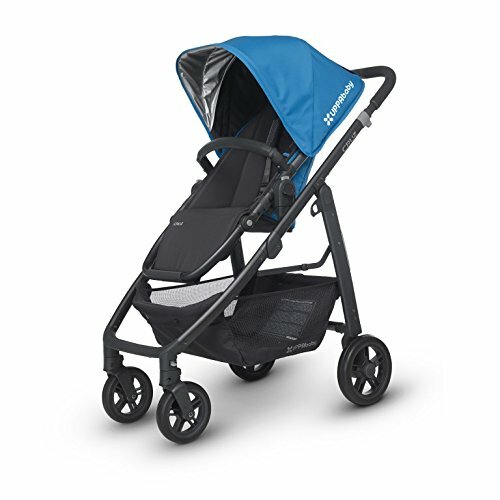 Uppababy Cruz 2016 Georgie Blue includes seat , sun shade, insect net and car seat adaptors. The seat unit can be used forward or rearward facing and has multiple recline positions both forward and rearward facing. The seat unit is a perfect height for pushing up to a table when out and about. Non puncture tyres and suspension. Folds with the seat fitted and then weighs only 9.8kg. Car seat adaptors suitable for maxi cosy, be safe, cybex and kiddy infant carriers.